Adam Jones: WHAT DOES IT MEAN TO BE LOCAL? As is often the case when researching something, I found myself on Twitter. It’s a great way to find out people’s views, but something struck me as odd. There seemed to be confusion about what ‘local’ means. So what does it mean for a business to be local? Many people (rightly) see supermarkets as being national. Yes, some of them try to make customers believe they’re local, but essentially, they’re not. At the same time, people considered the newsagent at the end of the street to be ‘local’, regardless of whether it was part of a national chain or not. To many, being local, or independent, means to be free of a national company’s control. It might be a family-run business that's been there for generations or a brand new shop, a restaurant or even a factory. But for me, being local is about more than just location. To be local, a business should be part of its community, simply being based there isn’t enough. 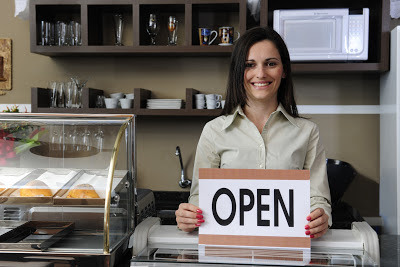 The business should celebrate what is local – food, drinks, crafts, everything! If it’s a restaurant, the food should be local wherever possible; if it’s a shop, it should sell predominantly local produce; if it’s a pub, it should sell some local beers. I’m sure you’re getting the picture. Anyway, I hope that’s cleared things up for everybody. To see my post on Shopping Local, just click here.